UVA senior London Perrantes (Los Angeles) has been selected to play in the 2017 Reese’s Division I College All-Star Game. London Perrantes needs some help. The riddle is figuring out where it’s going to come from. UVA guard London Perrantes was huge late for the Cavaliers in their 77-73 win over Clemson. Perrantes had a season-high 25 points. Scott German and I were doing a Facebook Live recap of the 72-32 UVA win over St. Francis Brooklyn when we saw something we’d never seen before. You never want to lose a guy to injury or illness, but #10 Virginia has been able to make the most of a bad situation, to the betterment of sophomore Darius Thompson. Virginia junior guard London Perrantes (Los Angeles, Calif.) has been ruled out for No. 10 Virginia’s Big Ten/ACC Challenge game at Ohio State on Tuesday (Dec. 1) after having an appendectomy on Sunday (Nov. 29). UVA basketball coach Tony Bennett had a choice forced upon him by a random contact between hand and pinky finger six weeks prior. Video: UVA at full strength for NCAA Tournament? Jeff Fischel and the ACCDN team is in Charlotte covering the UVA road to Indianapolis and the story of the day was Justin Anderson’s readiness for the start of the NCAA Tournament. 2-seed Virginia takes on 15-seed Belmont Friday and Anderson, London Perrantes and Tony Bennett expect the Cavaliers to be at full strength. 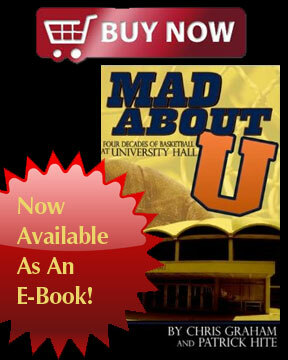 UVA guards London Perrantes and Malcolm Brogdon combined for an outstanding game against Virginia Tech. Perrantes scored 11 points and added 6 assists while playing with a broken nose, and Brogdon led the Hoos with 19 points and 8 rebounds. UVA sophomore point guard London Perrantes (Los Angeles, Calif.) suffered a broken nose and mild concussion as a result of a collision with teammate Malcolm Brogdon (Atlanta, Ga.) in the second half of the Cavaliers’ 51-41 win over Florida State on Sunday (Feb. 22). Perrantes’ status is day-to-day. UVA basketball coach Tony Bennett expects to know later in the day on Monday if he will have point guard London Perrantes for the second-ranked Cavs’ game at Wake Forest Wednesday night. Second-ranked UVA lost second-leading scorer Justin Anderson during its 52-47 win over then-#9 Louisville. The Cavs won their next three without Anderson, though the wins – over N.C. State, Wake Forest and Pitt – were anything but pretty. UVA basketball players Marial Shayok, Malcolm Brogdon, London Perrantes and Darion Atkins talk with reporters after the second-ranked Cavs defeated Pitt, 61-49, on Monday in ACC action. UVA guard London Perrantes talks with reporters after the second-ranked Cavaliers defeated Wake Forest, 61-60, in ACC action on Saturday in Charlottesville, Va. Perrantes had 11 points in the win. UVA basketball players London Perrantes and Justin Anderson talk with reporters after the second-ranked Cavs were upset 69-63 by #4 Duke on Saturday. Perrantes had seven points and five assists in the loss. Anderson had 11 points and five rebounds. UVA basketball player London Perrantes talks with reporters following the second-ranked Cavs’ 50-47 win at Virginia Tech on Sunday. Second-ranked UVA led just 25-19 at the half, and Clemson had to feel some confidence going into the locker room. Minutes becoming an issue for #3 UVA? The quick answer: no. Though four UVA players logged 30+ minutes in the 61-51 win over N.C. State on Wednesday (London Perrantes 35, Malcolm Brogdon 34, Justin Anderson/Anthony Gill 32), only one Cav is averaging more than 30 minutes per game this season (Perrantes at 32.4). 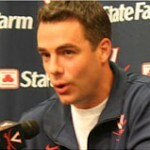 UVA coach Tony Bennett talks with reporters after the third-ranked Cavs defeated N.C. State, 61-51, on Wednesday. No. 3 UVA (13-0, 1-0 ACC) hosts NC State (11-4, 2-0 ACC) in its ACC home opener on Wednesday, Jan. 7. Tipoff at John Paul Jones Arena is set for 7 p.m.
London Perrantes scored a career-high 26 points, a Justin Anderson three with 12.1 seconds left in the first overtime gave third-ranked UVA new life, and the Cavs outscored upset-minded Miami 18-9 in the second OT to escape with an 89-80 win Saturday in Coral Gables, Fla. Things had been going the way seventh-ranked UVA had wanted them to. Then Treveon Graham happened. Game Notes from the #7 UVA 74-57 win at VCU on Saturday in Richmond, Va.
A floater by London Perrantes cooled off a VCU run, and seventh-ranked UVA took control with a 15-0 scoring spurt over a 5:14 stretch to pull out a 74-57 win at a rabid Siegel Center in Richmond, Va., on Saturday. Seventh-ranked UVA jumped out to an early 14-4 lead at #21 Maryland and was able to keep its distance from the Terps the rest of the way in posting a 76-65 win on Wednesday in College Park, Md. Interviews with UVA basketball coach Tony Bennett and players London Perrantes, Mike Tobey, Justin Anderson, Malcolm Brogdon and Marial Shayok following the Cavs’ 67-39 win over Norfolk State on Sunday. 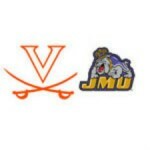 On paper, the season opener for eighth-ranked UVA basketball at in-state rival JMU on Friday isn’t much of a game. UVA junior forward Evan Nolte and sophomore guard London Perrantes have been suspended for the Cavaliers’ two preseason scrimmages and the season-opener at JMU. Augusta Free Press editor Chris Graham interviews UVA basketball player London Perrantes about the 2014-2015 Virginia Cavaliers basketball season. UVa.’s Teven Jones: Not going anywhere? Rising junior point guard Teven Jones seemed very much noncommittal about his future at UVa. following the Cavs’ 61-59 loss to Michigan State in the Sweet 16 Friday night in Madison Square Garden. 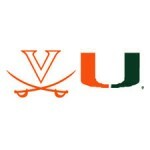 The UVa. basketball season came to a close with a hard-fought loss against Michigan State. Duke great Mike Gminski joins ACC Digital Network host Jeff Fischel to look back at the successful 2013-2014 Cavaliers campaign. 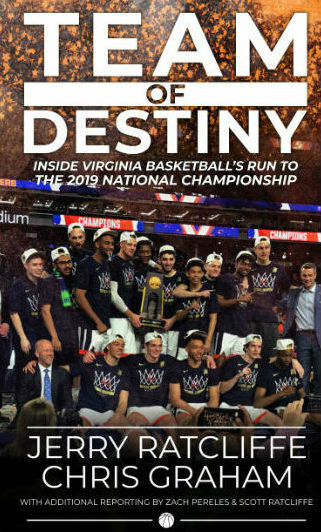 Mike and Jeff discuss the increased athleticism in Tony Bennett’s program, the emergence of London Perrantes, and where the Hoos go from here. Everybody and their president had Michigan State as national champs when the brackets were announced two weeks ago. 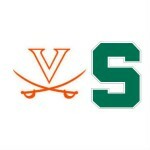 The fourth-seeded Spartans wouldn’t even consider the top-seed UVa. a road bump along the way. The entirety of the NCAA Tournament was a coronation of the preseason favorite who spent three weeks at the top of the national polls before a slew of injuries knocked Sparty down a few pegs. A late 7-0 UVa. run tied the game with 1:53 left, but Michigan State made the big plays down the stretch, and got the benefit of a controversial no-call, and the fourth-seeded Spartans advanced to the Elite Eight with a 61-59 win over the top-seeded Cavaliers Friday night in Madison Square Garden in New York.